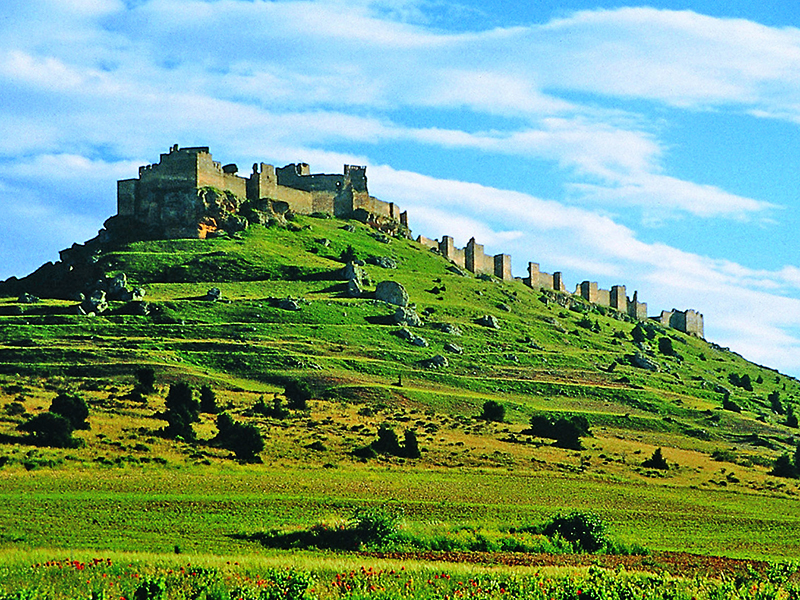 Inheriting a time when the Douro was synonymous border between the Christian kingdoms and Arabs, and where legend and history are bounded by a line uncertain, the province of Soria retains as spectacular as valuable legacy. 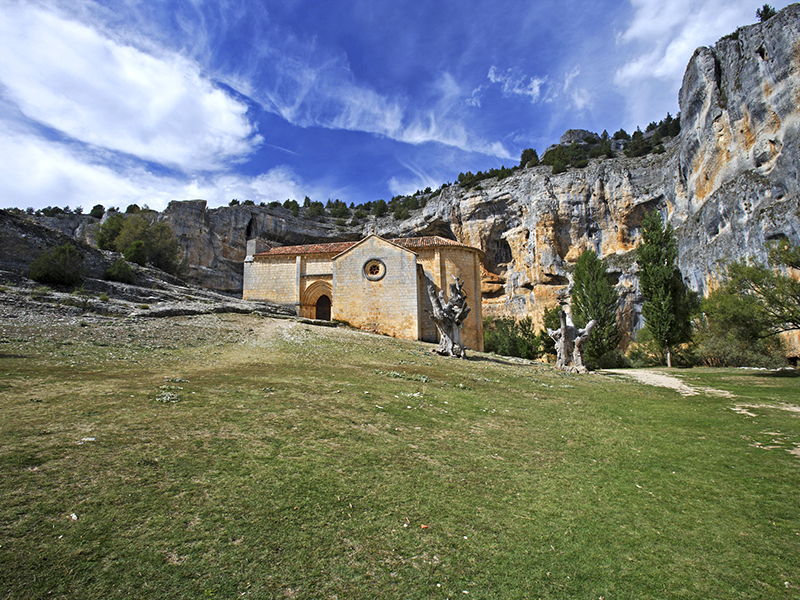 built with mud castles that seem carved in stone and Romanesque churches that are sign of identity, people become southern Soria into a huge open-air museum. 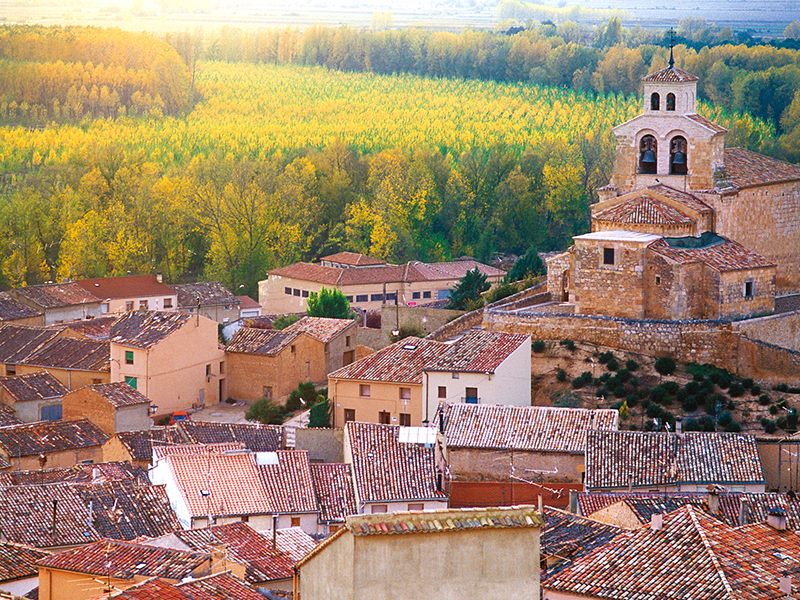 From the capital, a good entrance to this area is Berlanga de Duero, stately and guarded by its castle declared Historic - Artistic which highlights the hermitage of Nuestra Señora de la Soledad, the Gothic Rollo, its wall, Ex-collegiate church. Our Lady of the Market, the Palace of the Villa .... And the surrounding villages, Romanesque small but authentic jewels like Andaluz, Aguilera, Valderueda, Brías, Casillas de Berlanga, Caltojar or Bordecorex. It is territory with marked medieval Moorish past where wonder is, but if there is a monument that stands out from all that is the hermitage of San Baudelio. Modest in volume, pre-Romanesque style and Moorish influence, is considered the most original jewel of Romanesque architecture soriana. Not far from the Moorish fortress of Gormaz, exceptional witness to the Reconquest, at the foot of the church of San Miguel is located rises. southwest direction towards the border with Segovia, worth highlighting places like Caracena, lumias and, of course, the site of Tiermes Celtiberian-Roman. Looking again Duero, north appear peoples united to wine and Romanesque equally: they are Castillejo de Robledo, Langa de Duero and San Esteban de Gormaz. 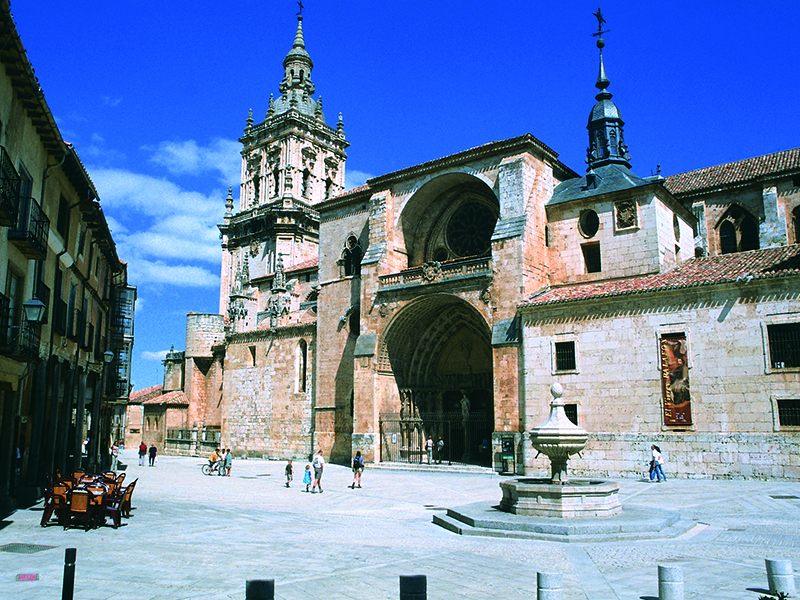 El Burgo de Osma, head of this vast country and bishopric of the province, is cathedral and picturesque, born at the foot of another celtíbero enclave Villa: Uxama. In the village burguense among other monuments include: the cathedral of the thirteenth century, the Hospital of St. Augustine, City Hall, Carmen convent, St. Catherine University, the Royal Hospice, Osma Castle. From this point it is easy to approach Ucero, door Natural Park River Canyon Lobos. 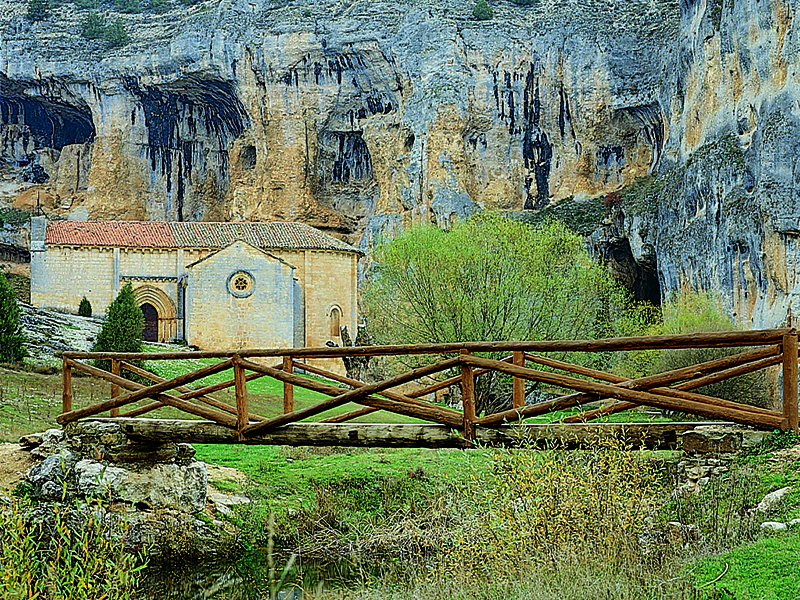 It was declared a Natural Park in 1985 and marks the boundary between the provinces of Burgos and Soria forming an extensive and spectacular gorge of 25 kilometers with walls over 100 meters high. Its geographical location, coupled with its great biological diversity, makes various species of flora and wildlife northern Mediterranean and creating a thriving ecosystem to focus on this space. In this landscape setting full of geological history note is the presence of the chapel of St. Bartholomew, late Romanesque, involving suggestive geographical synchronicity, numerical symbols and bequests alchemists. 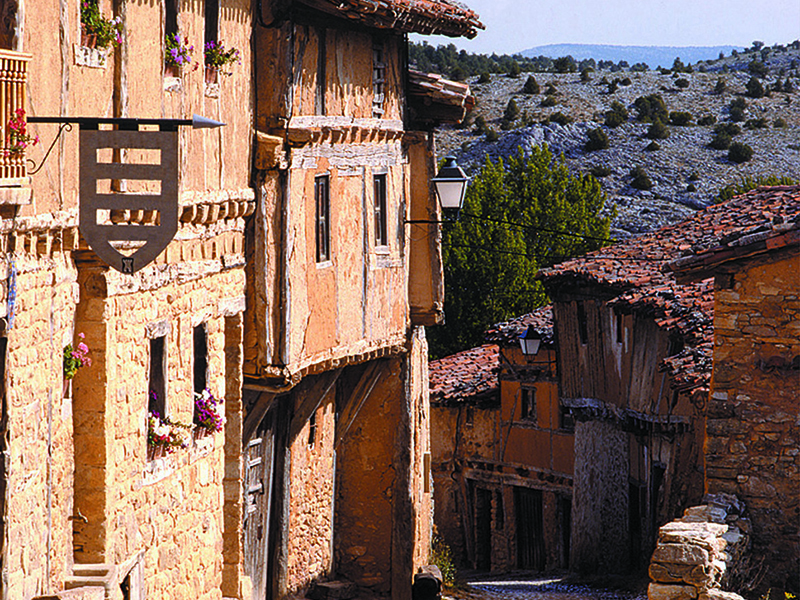 Begins here, heading east, the kingdom of junipers and limestone canyons, among those listed locations preserved traditional architecture as Muriel de la Fuente or Calatañazor, with medieval streets and modest houses made of timber-framed juniper and adobe mud and shaping a harmonious whole with medieval air and natural areas such as Fuentona and Sabinar. 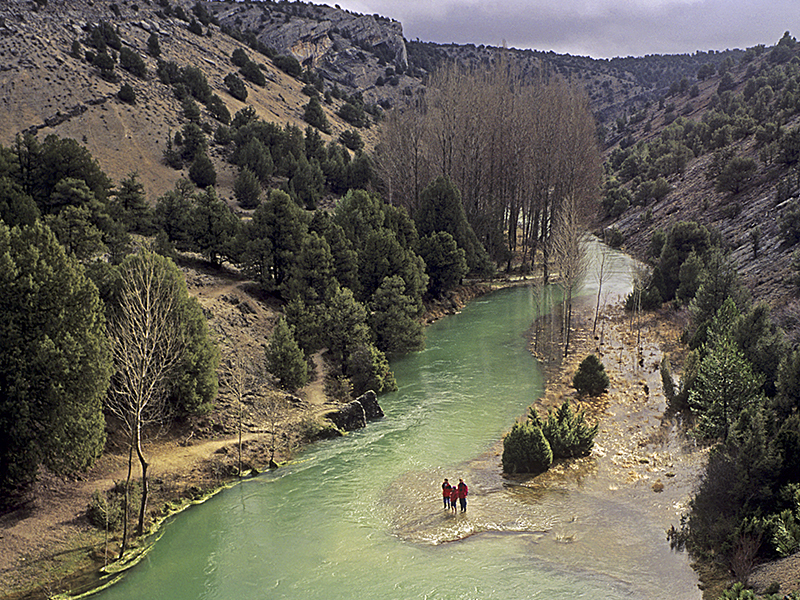 Near the town of Muriel de la Fuente and sabinares runs between the birth of Abión underground river forming a peculiar funnel. Natural Monument and listed as one of the places most beautiful in the province of Soria, La Fuentona, eye sea and spring that flows underground, forming a pool that then becomes river first with cold, clear water invites espeleo -buceadores from different depths to find among its galleries carved by water that in some cases reach up to 100 meters.